I have this bad habit of collecting ticket stubs. It’s a part of what makes my life up… the things I attend that is… I could throw them away but I don’t like to. I look back at them and often remember what happened. 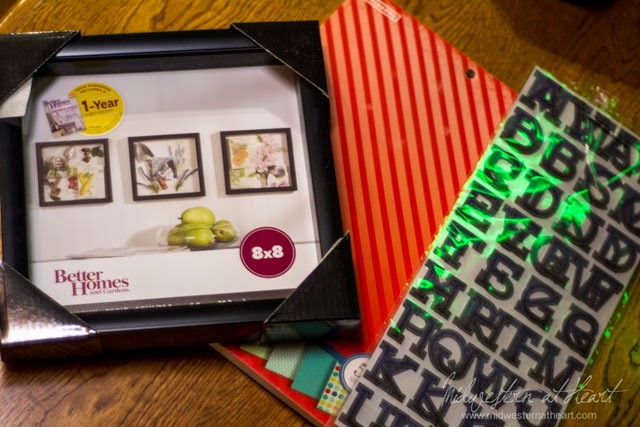 A few years ago I was hot and heavy into the scrapbooking, but lately, not so much. I just don’t have time which really makes me sad, but I just don’t. 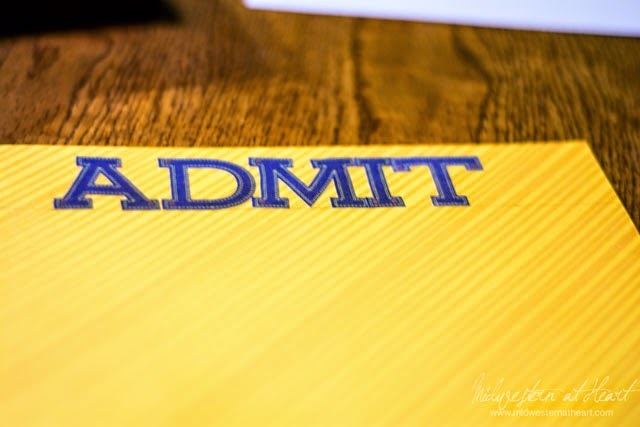 Really this blog has become my “scrapbook” of sorts because at least it gives me a way to look back and remember things. 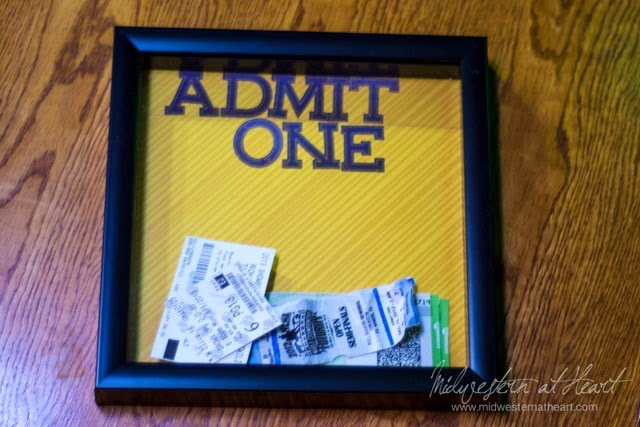 So a few months ago I ran across a blog where they used a shadow box and created a storage place for their tickets. Ding Ding Ding! There’s the answer I’ve been looking for!! Now I don’t just have these tickets laying around but I have a place to go with them so off to the craft store I headed. 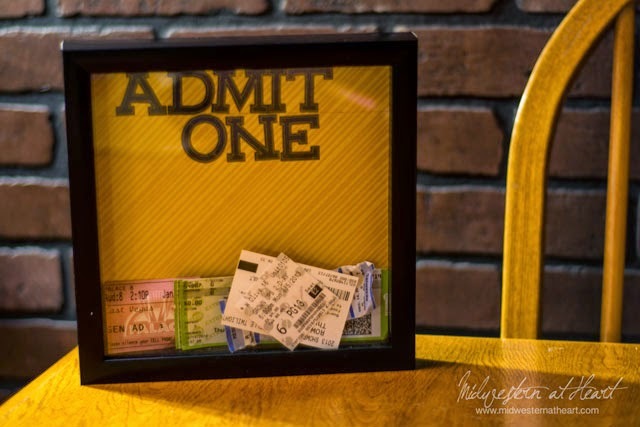 What you’ll need: A Shadow box (I went with an 8×8), Scrapbook paper, Letters, Ticket Stubs, optional: pencil & ruler. 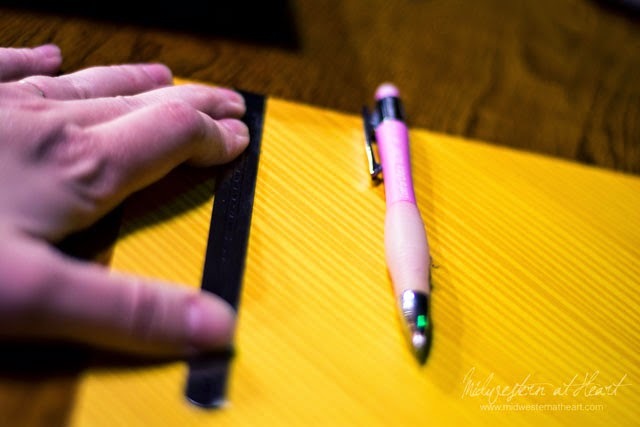 My letters measured about 1 1/4″ long so I measured down 1 1/2″ from the top and drew a very faint line so I had a place to put my letters and they’d hopefully be straight…. Then start sticking the letters to the paper. Have your husband make a slit at the top so you don’t constantly have to take the back off to add more tickets and boda bing boda boom, you’re finished. How sweet is this? It’s a great place to drop ticket stubs in from life :). And if I run out, well I can buy a bigger shadow box or better yet, just make a second one :).